Dr Catarina Almeida is a Post-doctoral Research Fellow in the Godfrey group. She is also the meeting coordinator for the Immunology Theme Meeting Seminar Series that occur at the Doherty Institute and the co-Chair for the Faculty of Medicine Dentistry and Health Science Early Career Researchers Network. Dr Almeida has a great passion for science outreach, science translation and policy change. She often collaborates with the teaching department, including the supervision of Honours students, 3rd year research project students, work experience students and the mentorship of PhD students. Over the the last 10 years, Dr Almeida has gained extensive experience in the field of unconventional T cell biology, having published 11 original research articles. 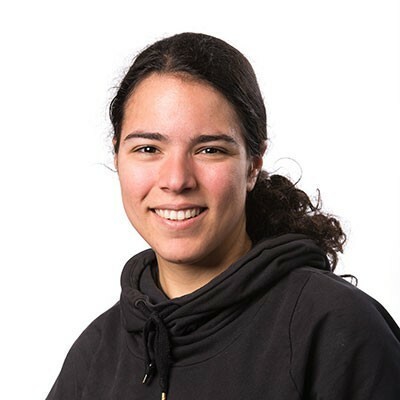 During her Masters of Science at the Universidade de Lisboa as part of Dr Luis Graca’s group, she studied mechanisms of immune-tolerance in allergy and autoimmunity, and described the functional plasticity of various Natural Killer T cell subsets. Whilst obtaining her PhD at the Doherty Institute, Dr Almeida discovered and characterised novel subsets of unconventional T cells and showed that these cells utilise a broader TCR repertoire and more mechanisms to recognise their cognate antigens, than previously assumed. Her research has been the foundation for a successfully funded ARC discovery grant, and an NHMRC project grant.